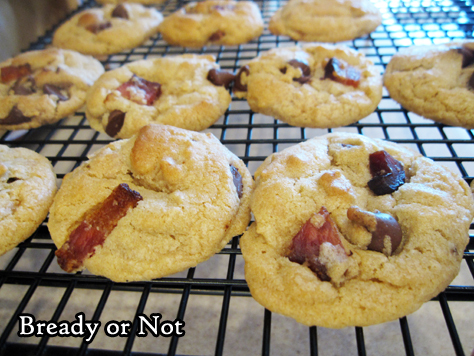 Bacon, chocolate, and toffee complement each other in these incredible Bacon-Toffee Cookies. 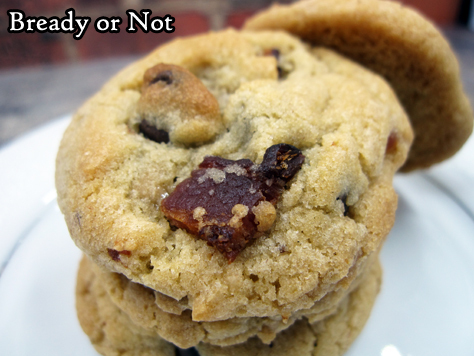 Fact: My Bacon Fat Chocolate Chip Cookies (originally shared at the Holy Taco Church lo those many years ago) is among my most popular recipes. This recipe is different. 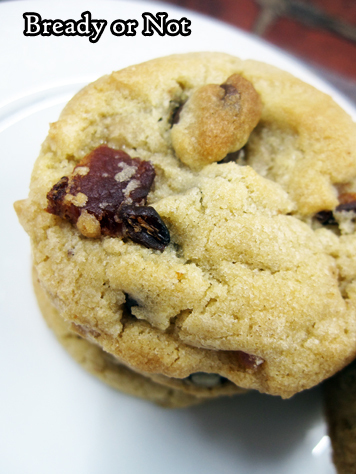 The previous take makes a crisper cookie, while these are chewier with some extra sweetness and crunch from the Heath toffee pieces. This recipe makes a lot, too: about 70 cookies if you use a teaspoon scoop! That sounds like a lot, but my husband’s co-workers inhaled them, so I don’t know how well they keep beyond a day. One of those good/bad problems to have. Modified from Fall Baking 2016 by Better Homes & Gardens. 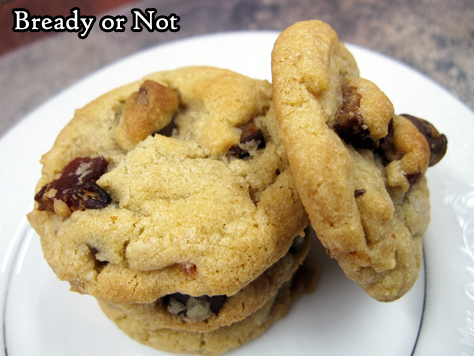 These cookies mix salty and sweet in a chewy cookie. 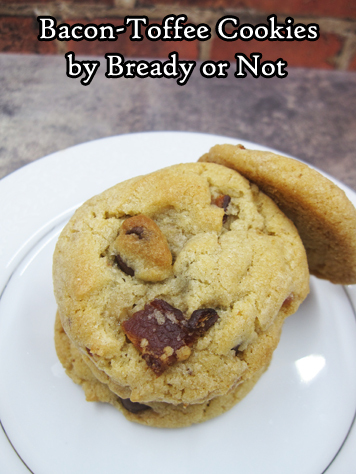 Using a teaspoon scoop, the recipe produces about 70 cookies. Preheat oven at 375-degrees. Ina large bowl, beat butter and shortening together until turning fluffy. Add brown sugar, baking soda, and salt, followed by the eggs and vanilla. Gradually beat in the flour. Stir in the Heath bits, chocolate chips, and bacon. Use a teaspoon scoop or spoon to dollop dough onto baking sheet, spaced out to allow for minor spreading. Bake for 8 to 10 minutes, until edges are just turning golden. Cool for five minutes, then transfer to a rack to finish cooling. 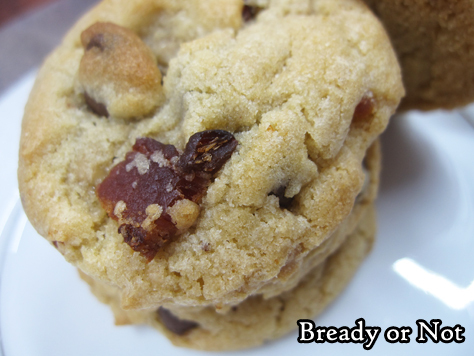 Store cookies in a sealed container.